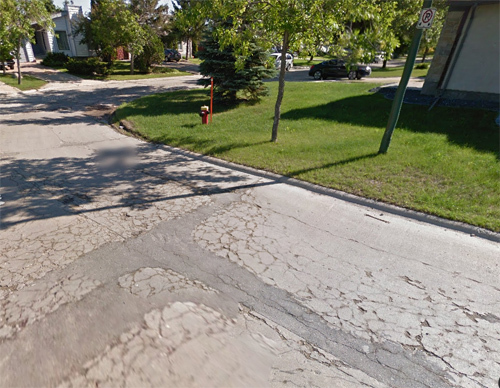 The following local streets and alleys in the South Winnipeg – St. Norbert ward will be under construction in summer 2015. The City uses a ‘Pavement Condition Rating’ system to assist in determining which streets will be repaired. Two sections of streets are slated for a complete renewal, , one alley will be renewed, and five streets are scheduled for a thin bituminous overlay (TBO). TBO is a thin surface restoration technique applied to the asphalt surface that increases asphalt thickness by less than 40 mm. This is a cost effective treatment that benefits the road from premature deterioration by improving/restoring asphalt surface.